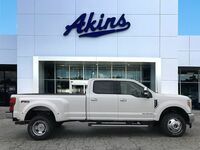 If you’re in the market for a new heavy duty pickup truck, you’re going to be hard pressed to find one that’s more powerful and more capable than the new Ford F-350 Super Duty lineup at Akins Ford near Atlanta, GA.
That’s because the 2018 F-350 Super Duty lineup offers best-in-class power ratings and best-in-class capability ratings – which combine to make a truck that is sure to be the hardest worker on any given job site. In order to better show you why the new F-350 Super Duty lineup is the best choice for anyone looking at purchasing a new heavy duty truck, we put together this 2018 Ford F-350 Super Duty versus 2018 Nissan Titan XD head-to-head heavy duty truck comparison. 385 HP & 430 lb-ft. 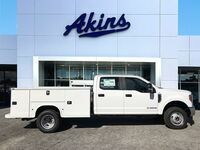 Regular Gas Engine Power Ratings 390 HP & 394 lb-ft.
34000 lbs. 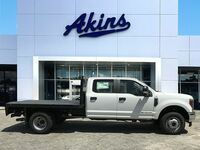 Highest Towing Rating 12760 lbs. 7630 lbs. Highest Payload Rating 2710 lbs. When it comes to comparing the 2018 Ford F-350 Super Duty lineup and the 2018 Nissan Titan XD lineup, the numbers tell it all – and it all starts under the hood. Both lineups feature a regular gasoline engine option and a diesel engine option. The power ratings for the 2018 F-350 Super Duty lineup’s regular gas engine are 385 horsepower and 430 pound-feet of torque, while the power ratings for the 2018 Titan XD lineup’s regular gas engine are 390 horsepower and 394 pound-feet of torque. 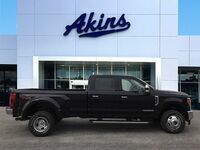 The power ratings for the new F-350 Super Duty lineup’s diesel engine are 450 horsepower and 935 pound-feet of torque, while the power ratings for the new Titan XD lineup’s diesel engine are only 310 horsepower and 555 pound-feet of torque. Which brings us to capability. 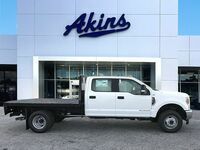 The new Ford F-350 Super Duty lineup has a maximum towing rating of 34,000 pounds and a maximum hauling rating of 7,630 pounds. The new Nissan Titan XD lineup has a maximum towing rating of only 12,760 pounds and a maximum payload rating of only 2,710 pounds. 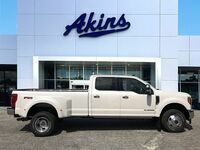 For more on the 2018 Ford F-350 Super Duty lineup, please contact our friendly and knowledgeable staff here at Akins Ford near Atlanta, GA.